scrappin it: What Do You Do with All Your Mini Albums? 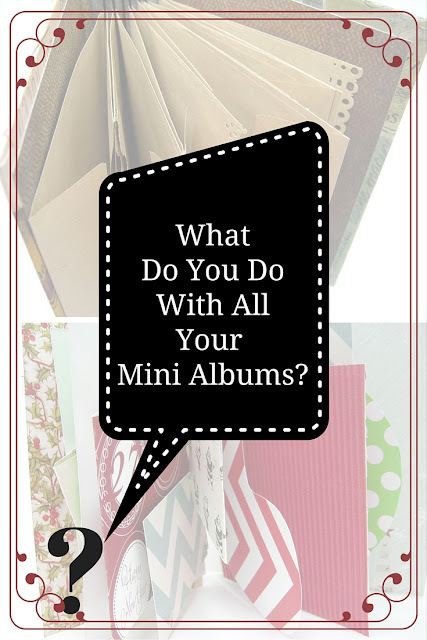 What Do You Do with All Your Mini Albums? This is a question I get asked a lot. You make so many, what do you do with all of them? Well...There are a few things I do, depends on how much I love the mini or how long I worked on it. When I began making mini albums I designed them all with photos inside, 20 mini albums later I realized if I onlyput my photos in them there isn't a lot I ca do with them once they're finished. So I started creating empty mini albums and that opened up a whole new world of possibilities. This is kind of obvious. 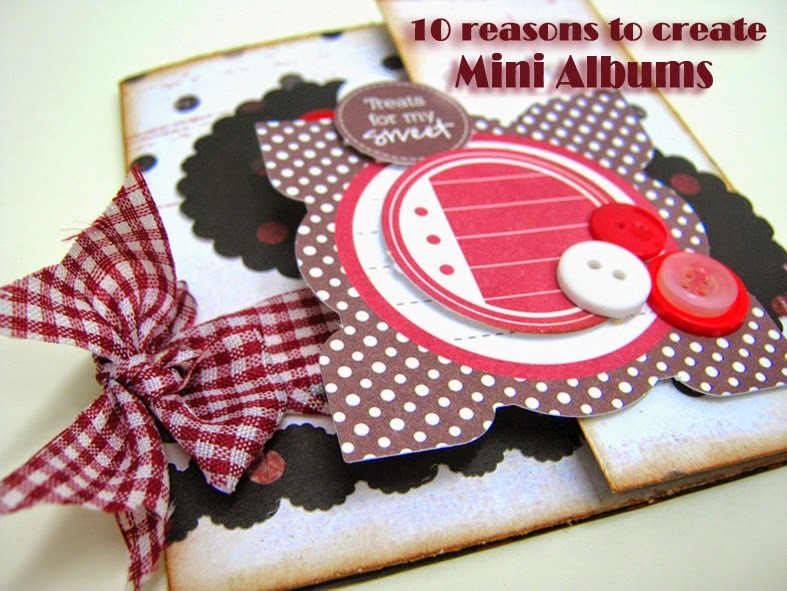 make a mini album for someone and give it to them on their birthday or on Christmas. But I want you to consider other gift options for example as giveaways in a raffle on your blog or website. Make a bunch of mini albums and give them to someone to give as gifts. I made my mom a few mini albums with inspiring quotes in them to give to her patients (they loves them). I sell some of my mini albums in my Etsy shop. 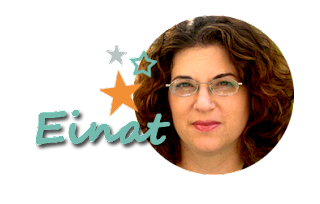 You can also sell them in craft fairs and holiday gift fairs. I went to a fair once (when I was still doing that) with a few mini albums among other things and they were sold like hot cakes. The mini albums were very simple but people liked them because I they were themed: baby mini album, wedding, grandma, field trip etc. So everybody found something that appealed to them. This is especially good for junk journals and mini albums without too many embellishments. Every time I create a junk journal I don't need or won't use I put it in the donation box and then go to a children hospital and give it to the kids, the older kids. I sit with them for awhile and explain what they could do with it: add photos, journal, add quotes etc. My favorite mini albums are displayed in a center location in my house. I found that when they are in the living room for example, my kids and family look at them often. These are the mini albums with photos in them so they sit and browse through them remembering trips, experiences, holidays and they talk, laugh and it's great! It's like kids and vegetables unless you have a nice plate with veggies on it they won't eat it...but if it's there on the table...well..it disappears. 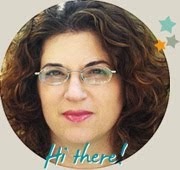 So you might ask yourselves why make mini albums anyway? Other than it being tons of fun, alone or with friends it's also...you can read all about it here. 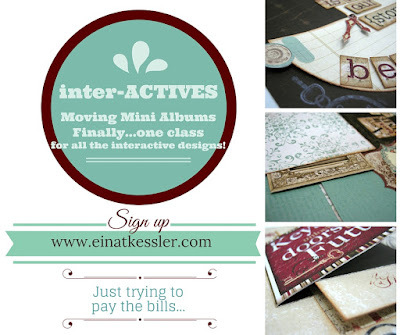 I don't need an excuse to make mini albums and I share the love for mini albums, binding and surprising moving parts in my online class inter-ACTIVES - Moving Mini Albums click the link to register.